Astronomers building an Earth-size virtual telescope capable of photographing the event horizon of the black hole at the centre of our Milky Way have extended their instrument to the bottom of the Earth — the South Pole — thanks to recent efforts by a team of astronomers with participation of the Max Planck Institute for Radio Astronomy (MPIfR) in Bonn, Germany. 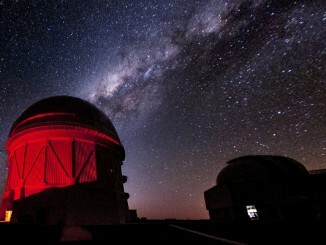 Last December, an international team of astronomers flew to the Southern Hemisphere: German, Chilean and Korean scientists led by Alan Roy of the MPIfR, traveled to Atacama, Chile, and American scientists led by Dan Marrone of the University of Arizona flew to the South Pole to arrange the telescopes into the largest virtual telescope ever built — the Event Horizon Telescope, or EHT. 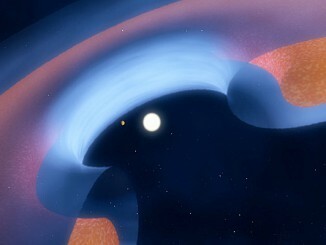 By combining telescopes across the Earth, the EHT will take the first detailed pictures of black holes. “The goals of the EHT are to test Einstein’s theory of general relativity, understand how black holes eat and generate relativistic outflows, and to prove the existence of the event horizon, or ‘edge,’ of a black hole,” says Dan Marrone. 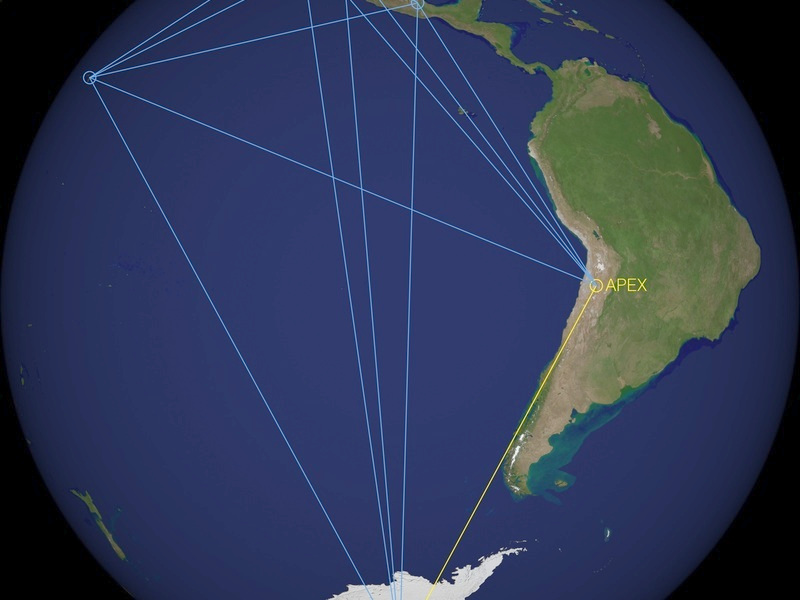 APEX, which recorded successful joint observations with the Atacama Large Millimeter Array (ALMA) on 13th January 2015, with a virtual telescope of 2.08 kilometres in size, has now been connected with the SPT, more than 7,000 kilometres away. This is the latest addition to an array of telescopes spread out across the globe and linked using a technique known as very long baseline interferometry, or VLBI. Larger telescopes can make sharper observations, and interferometry allows multiple telescopes to act like a single telescope as large as the separation — or “baseline” — between them. Using VLBI, the sharpest observations can be achieved by making the separation between telescopes as large as possible. Even though the Milky Way’s black hole, known as Sagittarius A* (pronounced ‘A-star’), is 4 million times more massive than the Sun, it is tiny to the eyes of astronomers. Smaller than Mercury’s orbit around the Sun, yet almost 26,000 light-years away, studying its event horizon in detail is equivalent to standing in New York and reading the date on a cent in Germany. First postulated by Albert Einstein’s general theory of relativity, the existence of black holes has since been supported by decades’ worth of astronomical observations. 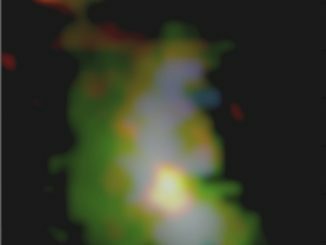 Most if not all galaxies are now believed to harbour a supermassive black hole at their centre, and smaller ones formed from dying stars should be scattered among their stars. The Milky Way is known to be home to about 25 smallish black holes ranging from five to 10 times the Sun’s mass. But never has it been possible to directly observe and image one of these cosmic oddities. For their preliminary observations, the joint telescopes pointed to two known black holes, Sagittarius A* in our galaxy, and another, located 10 million light-years away in a galaxy named Centaurus A. 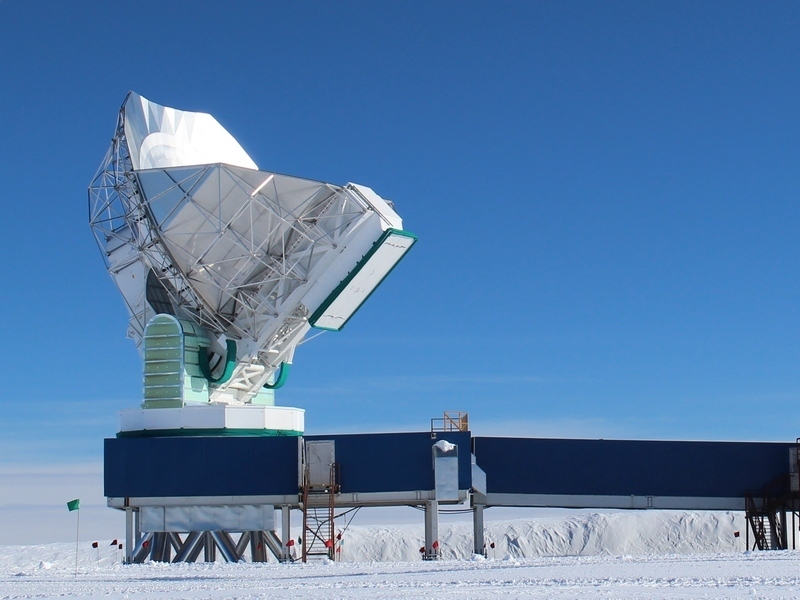 For this experiment, the APEX telescope in Chile and the SPT in Antarctica observed together, despite being nearly 7,000 km apart. Their detections are the highest-resolution observations ever made of either object in the southern sky, beating the previous record of peering into the heart of an active galactic nucleus by a factor of 10. Detecting a compact feature in Centaurus A at the resolution of 50 microarcseconds is equivalent to measuring an object of 150 times the gravitational radius of the black hole at its centre, believed to have a mass of 70 million solar masses. The addition of the SPT enhances the annual EHT experiments that combine telescopes all over the world. 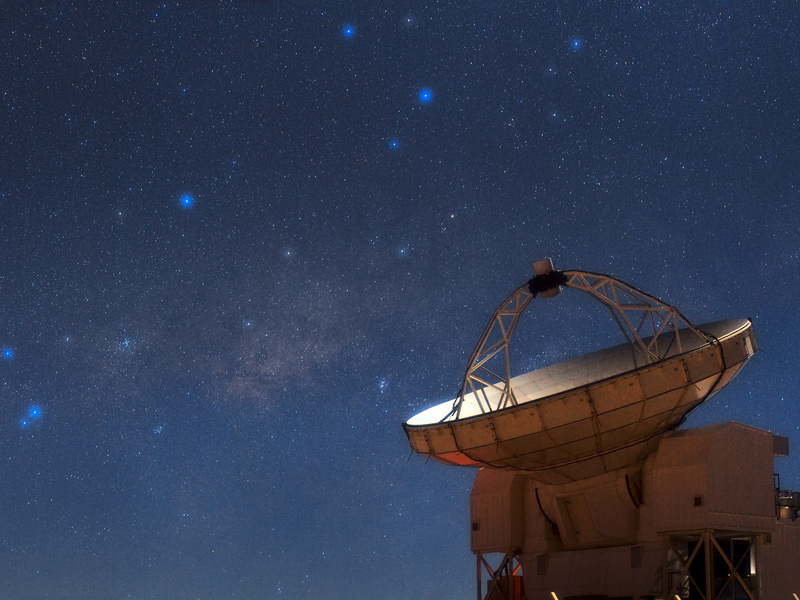 Several new telescopes have been preparing to join the EHT in the next year, meaning that the next experiment will be the largest both geographically and with regard to the number of telescopes involved. The engagement of the MPIfR is present through APEX and the IRAM telescopes in Pico Veleta (Spain) and Plateau de Bure (France), all operating at a wavelength as short as 1.3 mm.